Discussion in '2005 - 2015 Toyota Tacoma' started by Vt12rob, Nov 8, 2018. 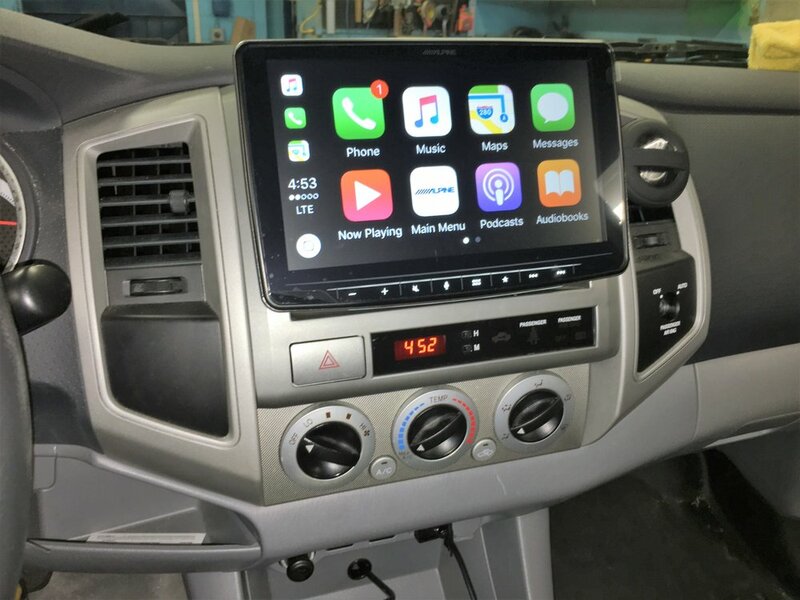 I'm looking at replacing the stock radio in my 2012 with something a little more user friendly with navigation that will sync with my iphone Has anyone done this and can you share your thoughts and pics? I also want to upgrade the door speakers. I've looked at crutchfield for some ideas. This worth it? I've never ordered from them before. Crutchfield is very helpful and includes some installation items for free. I've ordered multiple items from them and continue to do so. I went with the flagship Pioneer Navi unit and wasn't impressed. I was going to swap with Alpine but my truck was totaled before I was able to. In my GTO I went with Kenwood and am very happy with it. The unit itself uses the phone's navi apps to work but does not have navi built into it. That about halves the price of the unit. OR17TRD, Bojangles and TacoBOB77 like this. jaytuner, Csilver3 and OR17TRD like this. Thanks for the good info. I think I will look at Crutchfield some more then. I'm not too sure how a navi unit will fit or work in my truck. It doesn't have a nav unit now just the stock radio/xm unit which is terrible. Fits and works just fine if you go that route. There are also single DIN dash kits for the Tacoma. I was going to ditch this headunit and possibly go with a floating screen unit from Alpine but never got around to it. Vt12rob, Bogunn and kp.taco like this. That looks great the way it fits in the OEM space. There's a better kit with a textured surface like OEM but it didn't fit correctly. Turns out it was just me but had already modified it so I just bought the one you see the one in the pic. That's exactly what I was looking for. Thanks for the pic. It looks great.